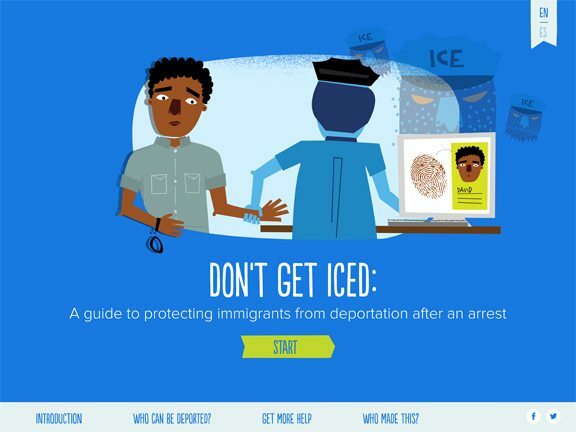 The National Immigration Project, the Immigrant Legal Resource Center, the Immigrant Defense Project, the Washington Defenders Association, and the National Immigration Law Center have produced a resource for organizers and advocates to prevent deportations in our communities: The All-in-One-Guide to Defeating ICE Hold Requests (Spanish version also available). This Guide aims to help communities better understand how immigration enforcement works, and ways to to engage with local police and policymakers to pass laws and policies against hold requests. It includes organizing suggestions, details about ICE hold requests and how they work, legal and policy analyses, messaging advice, and sample materials.